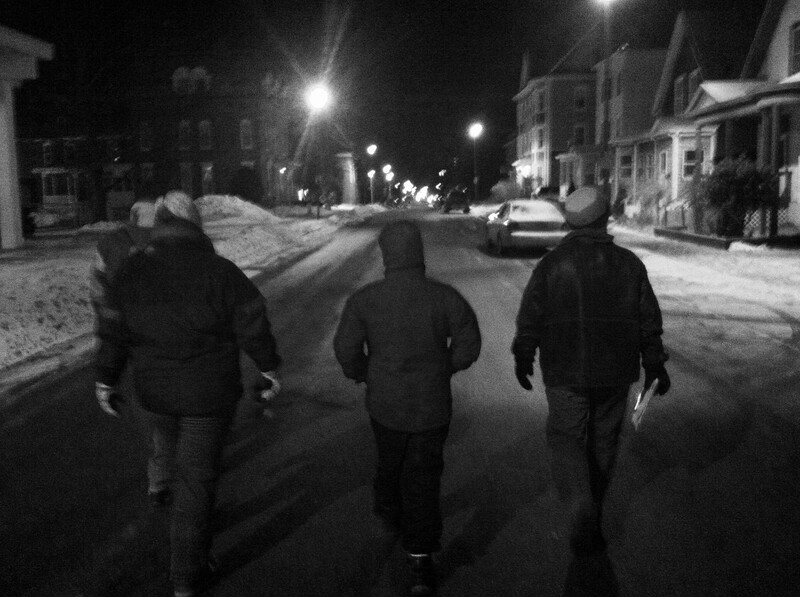 Volunteers look for people sleeping outdoors during an annual Point in Time Count. Photo credit: Todd Bookman for NHPR. Where will you be at 2am? Most of us will be sleeping in warm beds. But in King County, about 1,000 volunteers will be out in the cold, early hours of tomorrow morning counting people who are sleeping outside for the annual One Night Count. Last year, volunteers counted 3,123 men, women and children outside without shelter in King County alone. One first-time volunteer helping with the 2014 count was housing advocate Thomas Green. Volunteering in the count can be an emotional experience for anyone, but it was especially poignant for Thomas because he once experienced homelessness. In this video, Thomas shares what it was like to walk outdoors and count people who were without shelter on a freezing night. As Thomas explains, the count likely underestimates the number of homeless people in our community. Still, it provides vital data that help governments and social service agencies serve homeless people. The number can also be a useful figure to share when advocating for change. Sound a gong. Real Change, Seattle King County Coalition on Homelessness, Committee to End Homelessness in King County, and Washington Low Income Housing Alliance are organizing two gong-ringing events to raise awareness about the count results and call for an end to homelessness. Join at Seattle City Hall tomorrow, Jan. 23, or at the state capitol on Wednesday, Jan. 28. Visit the event’s Facebook page for more information, and check out our video from last year’s gong event in Seattle. Join us at Housing and Homelessness Advocacy Day in Olympia on Feb. 17. Learn about housing and homelessness policies, connect with other advocates, and tell your legislators how they can help end homelessness. Learn more. Attend a Homelessness Advocacy 101 workshop with the Seattle/King County Coalition on Homelessness and learn how your voice can make a difference in the lives of those who are homeless. And learn how to use online tools for advocacy through our Social Media 101 training, presented online and in-person in partnership with the Washington Low Income Housing Alliance and Seattle University.